Will Series 9 be the Final Goodbye for Doc Martin? This year, fans of the hit ITV series Doc Martin are preparing to bid a fond farewell to the sardonic and unknowingly hilarious surgeon, Dr Martin Ellingham, played by Martin Clunes, having shared in his trials and tribulations both in and around the fictional West Country community of Portwenn. 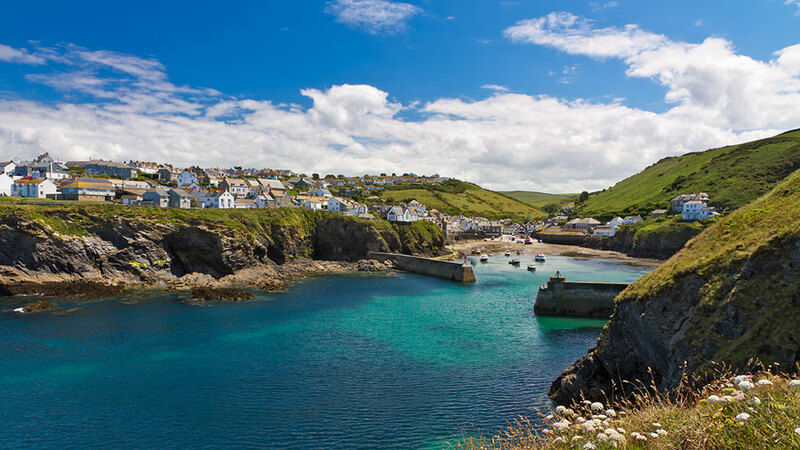 If the rumours are to be believed, series nine is set to be the final chapter of this much-loved comedy drama set in the picturesque village of Port Isaac on the rugged North Cornwall coast. It’s here, tucked away on Roscarrock Hill and only a short stroll from the village’s historic harbour, that you’ll find Fern Cottage, Doc Martin’s house and surgery. Not far is the path for Port Quin, a breathtaking route which Clunes often escapes along during his hectic filming schedule. Other prominent locations include; Doyden Castle, the place where Mrs Tishell revealed her prevailing crush on Dr Ellingham from the clifftops of Port Quin, St Nonna’s Church, also known as the ‘Cathedral of the Moor’; its hallowed aisles the place where Doc Martin finally ties the knot with local headmistress Louisa Glasson, and also, the Port Isaac Liberal Club which poses as the village shop, scene of many of the doctor’s crotchety exchanges. TV spies have leaked that Doc Martin is to be adopted ‘across the pond’ in a US remake by Marta Kauffman, the co-creator of the hugely successful sitcom Friends. But for all UK devotees it’s a case of hankies at the ready as we brace ourselves for the curmudgeonly GP’s final prescription. Discover the golden bays and dramatic coastline of North Cornwall with Toad Hall Cottages: from the legendry Arthurian ruins atop Tintagel cliffs to the sweeping shores of Watergate Bay, when you book one of our Cornish holiday cottages you’ll find yourselves captivated at every turn and waymark!